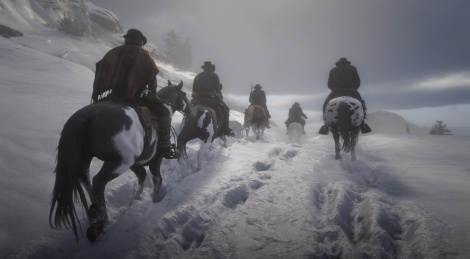 Rockstar Games updated the Red Dead Redemption 2 official site with a feature that reveal more details about the towns and other locations that fill the game's vast map. You can get the screens in their full resolution inside. looks really soft, maybe the AA solution is a bit too heavy handed? I'd say it's 1080p screens upscalled in 4K, either from the base consoles (and then upscalled) or just a mistake on their side, the latest 4K trailer was clearly sharper. Let's hope it's from Xbox One S in 1080p with stable 30fps. I doubt One S could run the game at 1080p. I would bet on 900p. hopefully. game seems to be really struggling with transparencies too. the hair looks rough! All I wanted to say is that screenshots looks kinda bad. And I hope that it was taken from the weakest console and the game was graphically reduced for image quality and fidelity. Clearly this is the XB1s and PS4 screens. The previous videos of gameplay clearly showed way better resolution than these photos. I wouldn't have put these out to the public. 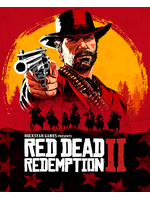 Poor photos for a game we all know will be one of the best looking games this year. They should have shown this in footage...Not seeing much value in revealing them this way. Well, I mean they have already revealed quite a lot of the landscapes in the previous video, so I wouldn't say a video of these would spoil too much. They're JPEGs, too. That doesn't help. these screens are from a video, they are not directly captured. XB1X version will be in 4k, i know that for sure. If it is well optimized, the game will be in 1080p on Base PS4 !